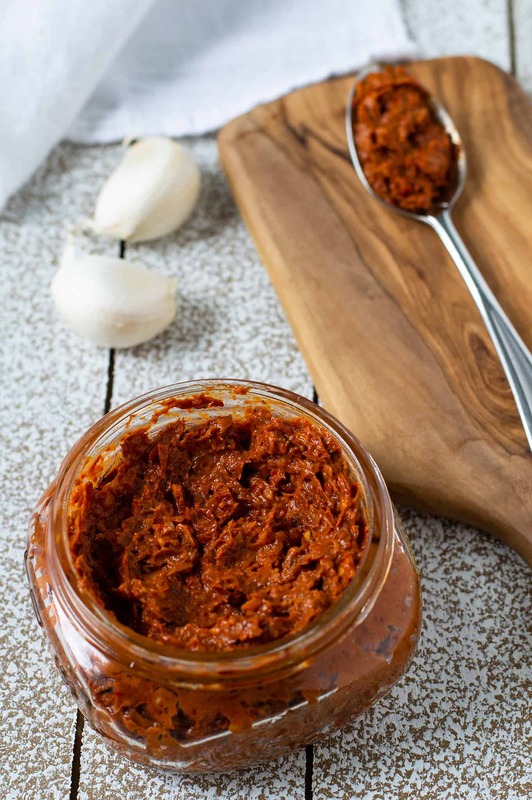 A hot and aromatic chile paste with smoky elements, harissa is a staple in Middle Eastern and North African cuisines. It’s made with a blend of hot chiles, garlic, olive oil, and toasted spices. Yoooo, where my spicy food lovers at? Get. At. Me. I want to talk harissa with you. The vibrant, addictive, flavorful, and hot amazingness that will pack a punch to whatever you add it to. It’s an awesome addition to stews, meats, veggies, dips, dukkah-crusted pork chops — you name it. It’s a condiment that’s widely used across the Middle East and North Africa and the recipes tend to vary between different regions. 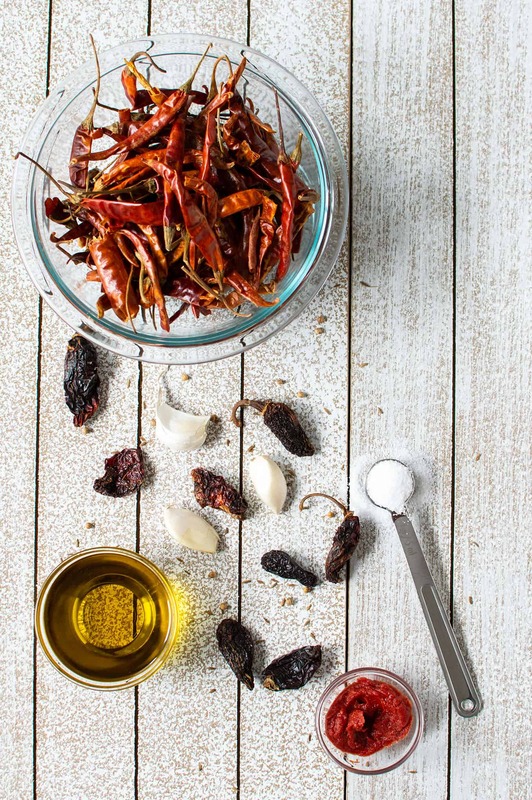 A standard recipe will include a blend of smoky chiles, fresh garlic, toasted spices, and olive oil. You can also include other ingredients like sun-dried tomatoes or fresh lemon juice (more on that below). There are lots of options when it comes to harissa paste and you can customize the recipe as you see fit to make it your own.